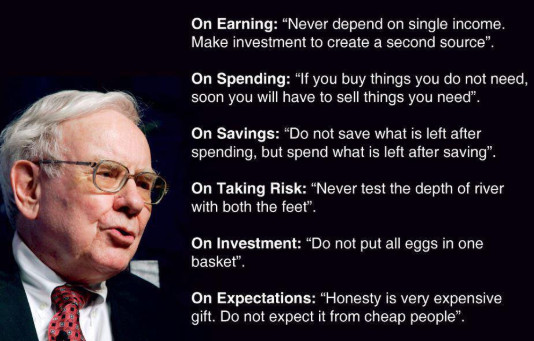 I'm obliged to Nourishing Obscurity for publishing this set of maxims from Warren Buffett. If anyone understands money and finance, it's the Sage of Omaha. Worth pondering. One of my favorites of his, "Be fearful when others are greedy, and greedy when others are fearful." wise words, but I swear they were taken from a fortune cookie from the way they sound, without articles in many places. That last piece of advice is pure wisdom.